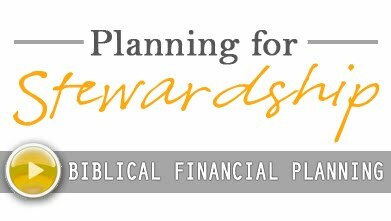 The Stewardship Sentinel: Philanthropic Planning and the Roth Conversion: A symbiotic relationship. Philanthropic Planning and the Roth Conversion: A symbiotic relationship. Hummingbirds interact perfectly with flowers that are long and tubular. The hummingbirds have special beaks and quite a pair of wings that allow them to get to the nectar in these flowers. Their special design reduces the competition for the birds in this part of the flower market. The flowers are better off as well because hummingbirds tend to stick with similar flowers, thus pollination is more efficient between these types of flowers. It may come as a shock, but there is a sort of symbiotic relationship at work between folks that are philanthropic and the IRS. Hard to believe, I know. We understand that the IRS gives tax breaks for charitable givers because they enhance society. 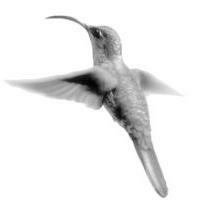 In special circumstances, charitable families can find tax breaks that many others will not reach, similar to the nectar only available to the unique and capable hummingbirds. The Philanthropist and the 2010 Roth Conversion. 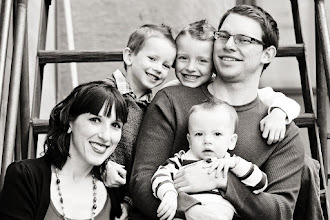 At the beginning of 2010, the $100,000 MAGI (Modified Adjusted Gross Income) limit on Roth IRA conversions was lifted. Individuals that were not able to convert an IRA to a Roth in previous years may now be eligible, and the subject is getting quite a bit of news. For someone who is charitable, the deductions from giving to tax exempt organizations helps to offset income each year. In the same way, the income from a Roth conversion can be offset by charitable giving outside of the IRA. Instead of writing a huge check to the IRS to pay the tax liability, you may be able to offset a large portion of that tax by making a contribution to the organizations in your community that you support. A unique opportunity: Charitable Carryforward. Many philanthropic families support numerous organizations in their communities and give enough that they cannot use the full tax benefit of their gifts in that year. Due to the fact that charitable deductions are limited to 30-50% of AGI (Adjusted Gross Income), they end up with charitable deductions that they must carry forward. This carryforward typically expires after 5 years if it is not used; this lost opportunity for charitable families costs them taxes. This situation may create an opportunity to convert a standard IRA to a Roth IRA without a tax liability by using the charitable carryforward deductions. These deductions can offset the tax on a Roth conversion. There are other types of carryforwards, excess deductions and tax credits that can help to offset the tax liability incurred through a Roth Conversion as well. Families that are interested in engaging in planned giving through the use of a Donor Advised Fund, a charitable trust, and other giving options that allow you to take a deduction up front may also benefit. This type of charitable giving, when planned along side of a Roth Conversion, may allow families to make the most of their charitable giving. For folks that have considered the development of a charitable gift plan, this is a wonderful year to begin the planning process. As tax laws change and taxes rise, opportunities to create these symbiotic relationships will be crucial to preserving your wealth and maximizing your giving. Don’t miss your chance to take advantage of this unique opportunity. Consult with the professionals that you trust including your CPA, attorney and financial planner in order to make the most of the Roth Conversion and your charitable giving.